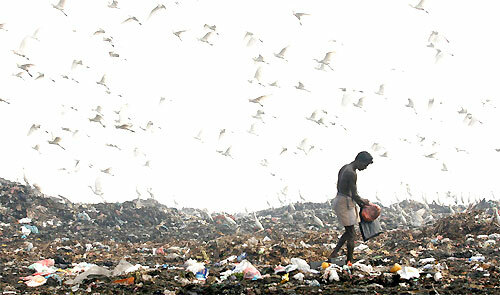 The Central Environment Authority (CEA) said it has not completed the preparation of the Environmental Impact Assessment (EIA) for the Puttalam garbage dump project despite a published, approved cabinet paper stating the EIA was completed and that the project could be implemented. At the Cabinet meeting held on August 14, approval was given for the transfer and disposal of solid waste from the Colombo area and also from several other municipality areas from the present dump in Meethotamulla to Arukkalu, in Puttalam.The notice published stated that the Environmental Impact Assessment (EIA) for the area has also been completed. However when the Daily Mirror contacted Dr. Saranga Alahapperuma Director General, Central Environmental Authority (CEA), he said that the EIA is being prepared by the Urban Development Authority (UDA) that is the project proponent. “The feasibility studies for the project were completed by the UDA and it received Cabinet approval. Once the EIAhas been completed it will be published in all three languages and made available for public opinions,” he said. Sajeewa Chamikara, the Director of the Environment Conservation Trust said that prior to the EIAaTerms of Reference (TOR) has to be made stating the guidelines that need to be followed when carrying out the project. “According to procedure, the project proponent has to make aTOR together with the North Western Environment Authority (NWEA) or the CEA. However according to our sources the NWEA had not been requested to prepare a TOR,” he said. He further said that the technical committee appointed to prepare the TOR has to have members from the NWEAor the CEA. “The EIA is then prepared by another company appointed by the project proponent. The company then makes the EIAtogether with theTOR and the project proposals,” he said. Adding that this project has the tendency to give rise to many environmental issues impacting residents in the area, Chamikara said that proper procedure needs to be followed to avoid long- term consequences. “We are looking into why the Cabinet made a false claim stating that the EIA has been completed when it was not. If we find they have not followed proper procedure, many environmental organisations are prepared to take legal action,” he said. The garbage issue in Meethotamulla was highlighted last year when Meethotamulla Sri RahulaVidyalaya was closed for almost four months. Rahula Vidyalaya is situated right nexttotheMeethotamullagarbagemount.The issue reached its climax when area residents did not let the Colombo Municipal Council authorities to dump garbage at Meethotumulla. However after obtaining a court order the municipal authorities were able to dump garbage there as before. However the residents were given a promise by the Secretary of Defence Gotabaya Rajapaksa that by August 24 the garbage dumping [at Meethotamulla] will be halted. Yet the authorities had failed meet that deadline. Despite the many number of meetings with the authorities and other responsible officials, justice has not yet been done by the residents of Meethotamulla.